When installing a boiler you need help rather than doing it yourself, because if you do something wrong, you will more than likely cause injury to yourself and possibly your family too. Added to that you could harm people in the neighbouring area, cause irreparable damage to your property and cause a fire. Never try installing a boiler by yourself. The law says that a boiler should always be installed by a Gas Safe registered electrical engineer who will have gone through extensive professional training. Even if you leave it someone you know who has rudimentary knowledge of boiler installation, it could still be dangerous if they don’t have the relevant qualifications necessary to carry out the job safely. Because it’s a job that should only be done by qualified professionals it pays to spend time finding someone who can do the job with no fuss, and who knows exactly what they’re doing. There are lots of different factors to also take into consideration when installing a boiler. Because there are different types, and you may have different needs, you’ll need to make sure it’s been installed to your requirements – safely. You may need access to a lot of hot water, especially if you have a large family. Perhaps you want the water and the heating to come from the same boiler and be controlled by exactly the same system. But where do you want your boiler? If you want it in a specific place, wherever you decide to put it may have an effect on what type of boiler you end up with. If you’re on a budget it may be prudent to keep your new boiler where your old one was before. It’s possible however, to fit a boiler in any room in your home as long as your pipework can accommodate it. Normally, most boilers are installed inside a cupboard or in the kitchen. Any boiler that’s an energy efficient one is the best we believe and having this type of boiler installed will benefit you in the long-term. If you swap from one type of boiler to a different one, it will cause more disruption than if you have a type of boiler that’s identical to the one you had before. Try to make sure then that you know what you’re central heating needs are and where you want everything to be before you agree to have it done, that way it’ll be a smoother and much more relaxing experience. We hope you found our guidelines on boiler installation helpful. Here at Hometech we have a dedicated team of electrical experts who work on boiler installation and other complex jobs on a regular basis. 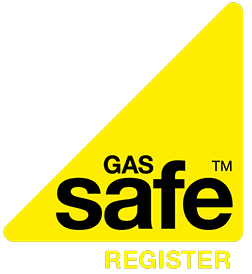 They are all registered Gas Safe heating engineers, and are qualified and trained to carry out complicated work. If you’d like to discuss your boiler needs with one of our team, please get in touch. The sooner you get in touch, the sooner you can have your new boiler installed – just don’t try doing it yourself! Newer PostShould you Invest in Underfloor Heating? Older PostSmart Thermostats - Are They Worth Installing?